In the dawn of the third millennium, humanity has taken a turn for the worse. In a chaotic world where only the strong survive, a hellish force of depression and destruction rules the land from sea to sea. The only hope for your entire race lies in the Holy Grail and your ability to retrieve it. You set out to the underground sanctum of the sacred cup. You are armed with a gun, but more important is your ability to reason, read in-between the lines, and sense of cunning. Your mission: To bring back the holy cup with its healing power in order to heal a dying world. But this is no walk in the park. Strange creatures lurk in the darkness, and 12 guardians have been trained to defend the Grail with their lives. To them you are just another thief. The only things you have to rely on are faith, and fate. 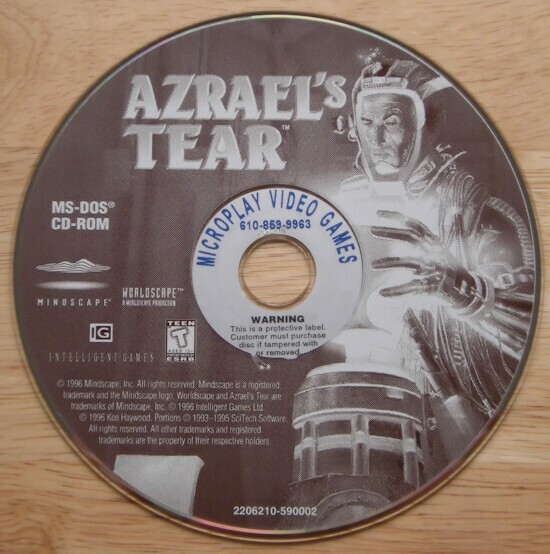 Azrael's Tear is a mix between Myst and Quake. 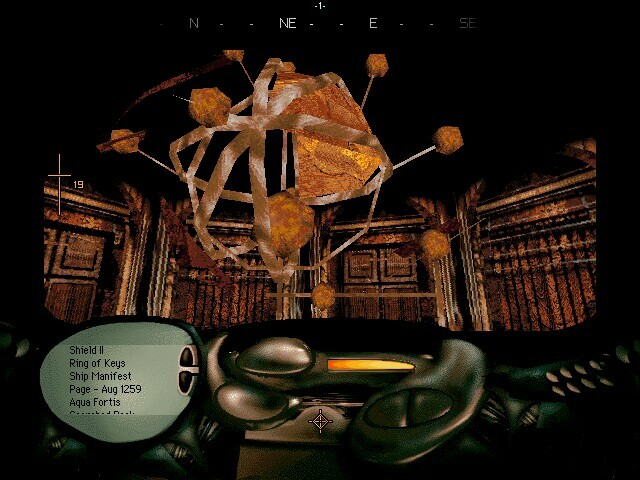 Combining the game play of Myst with puzzles, reading, and exploration, with Quake's first person 3d graphics and full freedom of movement, Azrael's Tear is an adventure game in a unique genre.